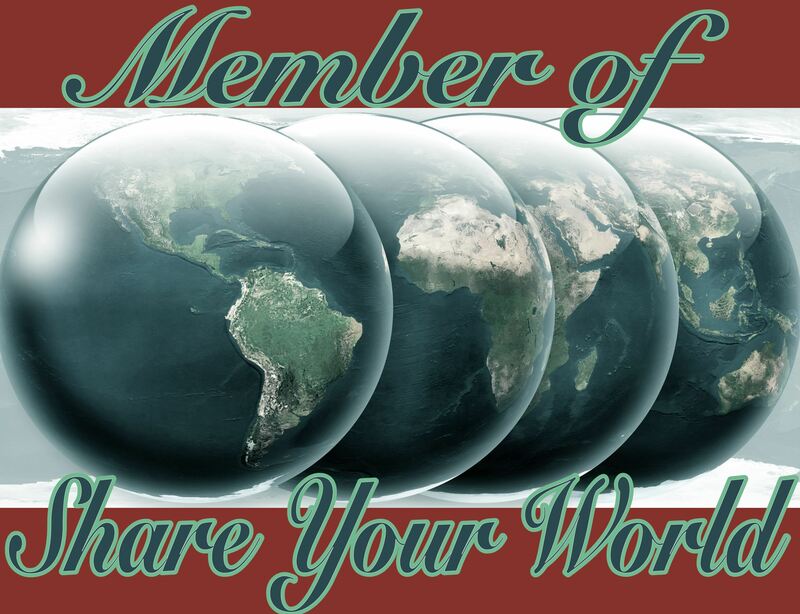 It’s time to Share My World again, hosted by Cee at her photography blog. Go check out her wonderful photos! Ooh, ghosts and ghouls and whatnot! Zombies, liches and other assorted undead (believe in one, you believe in all!). Regardless of your physical fitness, coordination or agility: If you could play any sport professionally what would it be? Or if you can’t picture yourself playing sports, what is your favourite sport? I guess it would be badminton. I used to play at university and it’s a lot of fun! You also get a good workout, and it’s not a contact sport, except for the occasional contact with a shuttlecock. You wouldn’t believe how painful a smash shot to the unmentionables can be 😦 . Short, but I’m planning on being an ageing hippy, so it might have to “go long” while I still have hair! To help out, I’ve done some artist’s impressions of what I might look like with short, long, punk and no hair. It would be an island in the sea somewhere. Otherwise it wouldn’t be an island. I’d be on my own, as I have no-one special. Boo hoo. I would have to make sure that I didn’t have people turning up willy-nilly spoiling my island, so some small security measures would have to be in place. I have helpfully drawn up plans. Ghosts and the like certainly make for good stories. I wasn’t a big fan of playing sports, especially team games. I was the one who was last to be picked because I was rubbish! That sounds like a nasty accident. You’re lucky it wasn’t worse, but it sounds like it was bad enough. I can’t be having dangerous criminals on my little island, it’s mine, all mine! It would certainly discourage escape attempts, though, you’re right. Well, with that kind of security, you won’t be able to meet anyone special! Hmm, that’s true. Never thought of that! You look good with pink hair! They would think you were cool!! You should try a Rainbow Donkey mane…. very stylish! I didn’t think of that – I’d be the talk of the village! It’s dead easy to make and there’s no mess to clean up afterwards! Also, are you honestly telling me that you don’t want sharks with lasers on their frikkin’ heads? I’m still stuck deciding between punk and hippy. Maybe I’ll go Goth. You’re already eccentric. A brain that doodles. That’s what I was thinking about your defense system, your death ray might kill your beautiful mermaid. Your photo-shopped hair-dos are HILARIOUS! I guessed you were doing catch-up!